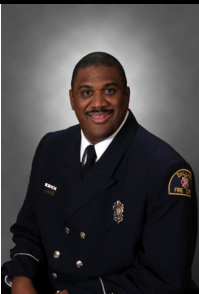 Ronald J Vaughn Sr. is a Lieutenant with the Dallas Fire Rescue Department and he has been a Firefighter and Paramedic with the department for 22 years. Lieutenant Vaughn is currently assigned as the departments GIS Specialist. His duties include providing Mapping Solutions for resource management, Pre Incident Planning, Data Analysis and Statistical Information for Fire Department personnel. Lieutenant Vaughn has received several departmental commendations and he has won the Dallas Fire Rescue Paramedic of the Year award. He has also won the Dori Miller Veterans of Foreign Wars Paramedic of the Year award and the Dori Miller Fire Fighter of the Year award. Lieutenant Vaughn has an AA from Trinity Valley College in Athens, Texas and a BA from Lyon College in Batesville, Arkansas. He is currently working towards a Master’s Degree in Emergency Management.